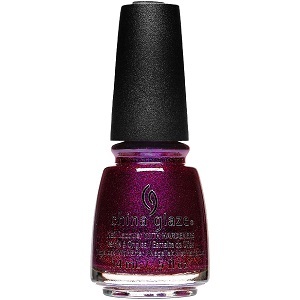 China Glaze Nail Polish, Queen of Sequins, 1580, .50 fl. oz. Dark plum jelly nail color with brown undertones and pink, purple and light blue shimmer.